It’s no secret that Iraq is a country without much of a positive reputation at the moment. This fact is certainly not lost on the subjects of "Iraqi Odyssey", directed by Iraqi-born Swiss filmmaker Samir. In this eye-opening new documentary, he travels far and wide and digs deep into the history of his family and his homeland, examining the roots of many of the issues facing the Iraq today. Alfred Hitchcock thrilled us with "The 39 Steps", Arthur Penn changed the game with "Bonnie and Clyde" and Terence Malick made a legendary debut with "Badlands". These are some of the greatest films of all time, but they also share a common theme of lovers on the lam. Daniel Wolfe therefore had a lot to live up to with his debut feature "Catch Me Daddy", a thriller about two young lovers on the run from their family and their past. Despite his admirable efforts however, Wolfe's gritty ambitions yield underwhelming results. "Catch Me Daddy" centers around Laila (Sameena Jabeen Ahmed), a young woman of Pakistani descent living in Scotland. Alienated from her family on account of her interracial relationship with her Scottish boyfriend Aaron (Connor McCarron), she gets by on a hardscrabble existence, working as a hairdressing assistant while Aaron seeks employment. Their love sustains them however, until her brother and his gang of miscreants decide to hunt her down. Things soon get violent, and the doomed lovers are forced to make a run for it through the perilous Yorkshire Moors. The success - or lack thereof - of "Catch Me Daddy" rests on the shoulders of its young leads, both making their film debuts here. But whereas the actors themselves have an appealing screen presence, the characters felt vaguely written. Throughout much of the film, I constantly questioned the motives of the characters and as such, I struggled to care about them or their plight. Admittedly, the heavily accented, unintelligible dialogue may have been a factor. The dialect spoken by the characters speaks to the film's impressive authenticity however. And in that regard, what makes the film most intriguing is the palpable milieu of its setting. Indeed, what the screenplay lacks in clarity, it makes up for in the potent atmosphere of the Yorkshire Moors and its environs. The enveloping fog brings inherent drama and mystery, while the cultural specificity of the urban setting has a unique, vibrant energy. It's hardly surprising that the gifted Robbie Ryan - who shot all of Andrea Arnold's films - is credited as the film's cinematographer. His compositions are as rich and evocative as anyone else in the business. It's truly a shame that "Catch Me Daddy" is ultimately so underwhelming, as director Daniel Wolfe shows undeniable promise as a filmmaker. His visceral use of sound and imagery certainly delivers its fair share of indelible moments, mostly due to its unflinching eye on the harsh brutality. Indeed, the film's grit and authenticity are beyond reproach. But unfortunately, between the unstimulating leads and their repellent antagonists, "Catch Me Daddy" gave me nothing else to hold on to. By now this is incredibly stale news but I couldn't let the week go by without acknowledging this year's nominations for the 2015 Independent Spirit Awards. Indeed, as the big studios have all but abandoned the low to mid-budget dramas (aka "Oscar bait"), the Indie Spirits continue to have increased relevance to the Oscar race. That's therefore good news for "Carol" and "Beasts of No Nation" as they lead the field with 6 and 5 nominations each. Not far behind was "Spotlight", with 4 nods to go along with the Robert Artman ensemble prize it already won. Overall, it was a strong lineup of films this year, including my personal faves "Tangerine" and "Embrace of the Serpent". Both films will surely be in serious contention when I submit my own ballots for these awards come February 2015. Drug wars have been a hot topic in entertainment lately, from films like "Sicario" and "Cartel Land", to the Netflix series "Narcos". It can therefore feel like we've exhausted all angles of the issue and audiences become fatigued. With his debut feature "600 Miles" however, Mexican filmmaker Gabriel Ripstein brings another fresh perspective on the US-Mexico relations involved in the war on drugs and guns. There are good films that have the whole package – strong direction, brilliant writing, compelling acting. And then there are other equally good films that sacrifice one aspect of the craft in favor of another. Alanté Kavaïté’s "The Summer of Sangaile" is an example of the latter, where skillful direction compensates for screenplay shortcomings in this intriguing Lithuanian coming-of-ager. With a bona fide box office smash under his belt, his first selection as Norway’s representative for the Foreign Language Film Oscar and a US distribution deal with Magnolia Pictures, it’s safe to say that Roar Uthaug is having one of the best years of his filmmaking life. The reason for all of this success is his latest film "The Wave", a heartpounding disaster epic that beat the big studios at their own game. And Hollywood is certainly taking note. Since our recent interview, he has already been announced as the director of the Tomb Raider reboot. Indeed, this talented director has a bright future ahead. With 3 acclaimed film collaborations under their belt already, Tobias Lindholm and Pilou Asbæk have developed one of the most compelling director-muse relationships in Denmark and the world at large. It was therefore an honor for me to get on the phone to chat with these talented filmmakers about their latest project "A War", which has been submitted as Denmark’s Foreign Language Oscar submission this year. In our conversation we discussed the making of the film, the power of realism in cinema, and the excitement of Oscar season and international exposure. Below is an edited version of our interview. It’s no secret that Asian cinema has been significantly underrepresented among the yearly nominees for Best Foreign Language Film. Despite consisting of some of the world’s most prominent film industries (India, China, Japan, South Korea), it’s not unusual to see Foreign Oscar nominations devoid of Asian films. Unfortunately, this seems unlikely to change this year, but hope springs eternal for these tales from the East. Where did Alonso Ruiz Palacios come from? And when can I see his next film? That's all I kept thinking while watching his astonishingly well-directed debut feature "Güeros", a deserving winner of countless awards throughout the 2014-2015 festival circuit. 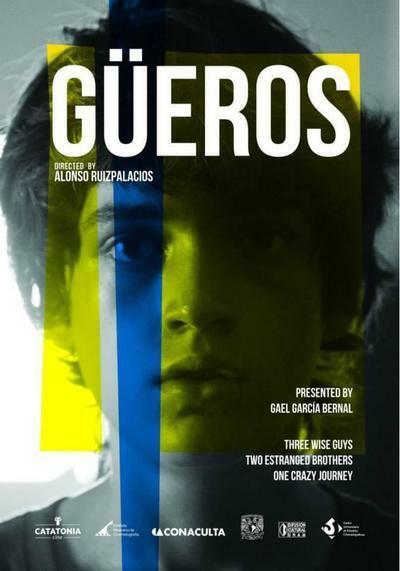 "Güeros" tells the story of a boy named Tomas (Sebastián Aguirre) and his adventure with his older brother Federico (Tenoch Huerta), affectionately known as Sombra. A problem child prone to mischief, the film begins with Tomas being sent to live with Sombra in Mexico City, to relieve his single mother of the burden. When he arrives however, he finds a pair of wayward young men slacking off in an apartment (Sombra and roommate Santos). Formerly students at the National University, a student strike has since left them with no structure to their life. Tomas' arrival springs them into action however, as he encourages them to seek out a beloved, dying rock star, in a quest that will take the trio on an unpredictable, unforgettable journey through the far reaches of the city. Before Tomas even gets to Mexico City, "Güeros" begins with a bang. In one virtuosic opening scene that mere words can't fully express, we see a pair of unidentified hands pick up a water balloon, cut to a harried woman packing up her crying baby to hit the road for the morning, which eventually concludes with that same balloon crashing down on them both. An audacious introduction to our protagonist if I ever saw one. Indeed, this is the inciting incident that compels Tomas' own stressed out mother to send him away to his brother. And as we follow Tomas, Sombra and eventually Ana (Sombra's love interest), the film thrillingly maintains the visual flair of its opening. With its black and white color palette, square aspect ratio and dynamic camerawork, "Güeros" feels like a throwback to European art cinema of old, while also bristling with contemporary vitality. And that youthful spirit is also exuded by the cast, all of whom give effortlessly genuine performances. With respect to the screenplay, the plot is also as carefree as its characters. Despite the road trip/coming of age setup, Palacios and his co-writer Portela never feel the need to make the characters "grow" or learn life lessons. As such, the film does miss a basic level of character development. Our protagonist in particular remains primarily a window into this world throughout all the various escapades. But in a way, the film is all the better for it. Sometimes, a big road trip with friends may not turn out to be so life-changing. More often than not, it's simply about enjoying the ride. "I'm begging you to manage expectations out there." So implores Joanna Hoffman of Steve Jobs during during one of the early scenes of Danny Boyle's latest feature "Steve Jobs". Played with gesticulating verve by the incomparable Kate Winslet, it's a line reading that caught my attention from the very first trailer. 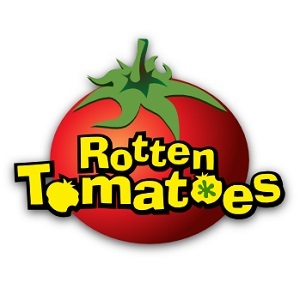 And as I finally sat down in the theater this week for this highly anticipated film, I couldn't help thinking the statement could have been a slogan for the film itself. The scene comes from the first act of the film, a biopic about the man who became synonymous with some of the greatest technological revolutions of our time. The first of three distinct acts, it depicts the first of several crisis situations to follow - the launch of the Apple Macintosh in 1984. In an effort to humanize the relatively novel concept of the personal computer, Jobs has promised the excited audience a machine that will say "hello". But on the day of the launch, the system won't cooperate. Refusing to manage expectations as advised and scrap the unnecessary greeting, Jobs puts himself and his team under considerable pressure. And his situation is only exacerbated by the untimely arrival of a demanding ex-girlfriend and the daughter he disowns. Jobs' family problems and professional failures continue in the second act, which chronicles the doomed launch of the ambitious but misguided NeXT Computer after his dismissal from Apple (the Macintosh bombed). But of course, we all know that this insensitive but determined genius eventually comes out on top in the final chapter. And through it all, we're given an engrossing portrait of the man behind the icon. One of the main things that we learn about Steve Jobs is that he was a man who was both burdened and boosted by his own expectations and that of those surrounding him. And indeed, it's the story of the Steve Jobs the film too. From Amy Pascal's infamous warnings, to the feverish praise surrounding its Telluride premiere, to its perceived box office failure, much of the discussion surrounding the film was related to expectations both good and bad. Naturally, my own expectations affected my own experience with the film as well. It would have been wise for me to heed the sage advice of Joanna Hoffman however, as the film didn't turn out to be the masterpiece I'd expected. It would have required an inhuman level of objectivity to not expect excellence of course, considering the level of talent involved. Screenwriter Aaron Sorkin only wrote two of the most brilliant screenplays this side of the 21st century after all. Not to mention the presence of personal faves Danny Boyle, Michael Fassbender and Kate Winslet too. Indeed, I'm not ashamed to admit that I almost shed tears of joy when I realized that the film would actually play in my local theater (I'd assumed it would be too "artsy" for our Jamaican multiplexes). Thankfully, I did get to see the film on the big screen and it mostly delivers the excellence I was hoping for. 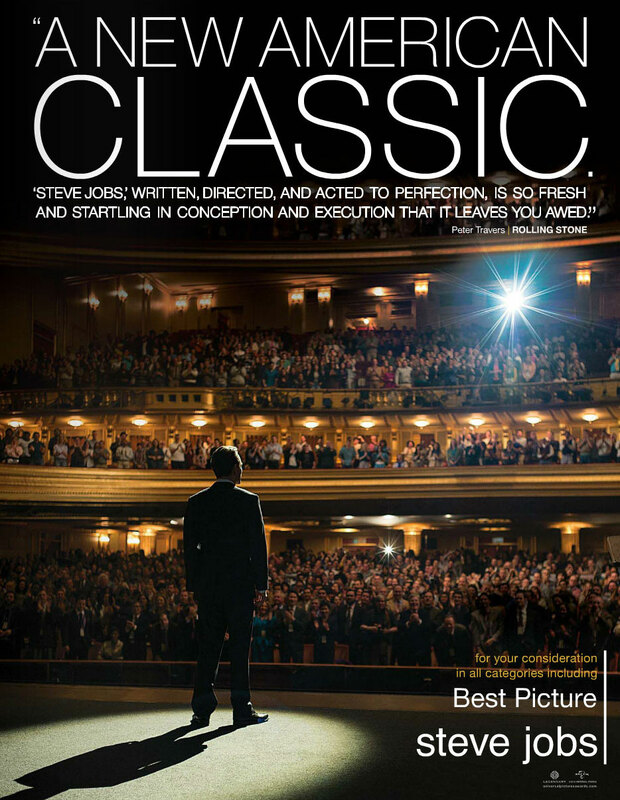 Certainly on a script level, Sorkin is in top form with yet another profile of an egotistical genius we love to hate. The film acts as a sort of spiritual sequel to "The Social Network" bearing all the eloquent verbiage and sharp zingers that made the former so special. And similarly, the ensemble is completely up to the challenge. Indeed, Michael Fassbender is absolutely captivating - albeit slightly one-dimensional - in a role that will surely land him in the Best Actor conversation this season. Likewise, Jeff Daniels and Seth Rogen do strong work as Steve Wozniak and John Sculley respectively. In fact, the latter emerged as my unexpected MVP of all the actors. And despite his reputation for male-centric writing, Sorkin even gives Kate Winslet a meaty role to play as Job's marketing executive and loyal confidant. She gets some of the best lines, conveying such wisdom and strength. The film undoubtedly portrays a man's world, but she proves to be an invaluable asset. If there's one thing that prevents from giving the film a wholehearted rave, it's Danny Boyle's direction. Unfortunately, I didn't feel enough of his imprint on the film, particularly in the first two acts. And it's a shame too, since his directing style seemed well suited to the rhythmic quality of Sorkin's wall-to-wall dialogue. Boyle's previous work is nothing if not vibrantly directed. Still, all the important elements are there. The film is well-paced, well-shot and features a particularly outstanding score from Daniel Pemberton, which mixes classical and contemporary pieces to stimulating effect. Ultimately, the film once again came down to a matter of expectations. Considering the impersonal direction of the opening acts, I didn't anticipate the satisfaction that came with the film's conclusion. Many critics have derided its sentimentality, but it gave me the Danny Boyle humanism that I felt was lacking all along. Indeed, in terms of expectations, I didn't expect to leave the theater with such a big smile on my face. One of the benefits of the “one country, one film” submissions process for the Best Foreign Language Film Oscar, is the way it seeks to level the playing field so that even the smallest film industries stand a chance against juggernauts. Just last year, a first-time submission from the African nation of Mauritania secured a nod over the likes of France, Italy and Spain. That balance between the old establishment and the new upstarts is well reflected in this year’s entries from Africa and the Middle East. With an eclectic mix of brand new talent and established masters, they signify a promising cross-generational discourse in the region’s cinema. From manhunts, to hijackings, to wars, Denmark’s acclaimed writer-director Tobias Lindholm is clearly drawn to the aggressive side of mankind. But don’t mistake him for a pulpy action director however. Indeed, as one of the foremost screenwriters in contemporary Danish cinema, his work is equally concerned with the internal conflicts that afflict the human psyche. And in his latest film "A War", Lindholm once again shows his penchant for probing explorations of morality and conscience. Judging from the film’s opening scene, director Jerrold Tarog had lofty ambitions for his historical biopic "Heneral Luna". In it, our titular general stands in front of the Philippine flag, preparing to give an interview about his life’s work. Whether intentional or not, the scene immediately recalls that of another general’s biopic – Franklin J. Schaffner’s "Patton". Of course, referencing a beloved Best Picture winner attracts closer scrutiny and raises expectations however. And although ""Heneral Luna is an admirable effort, it unfortunately falls short of the standards it seems to set for itself.